DURHAM, N.H. — The Prevention Innovations Research Center at the University of New Hampshire has released a new nationwide version of its smartphone app for Apple® and Android® to help prevent sexual assault of college and university students as well as improve response to victims. Based on the earlier uSafeNH™ app which was launched at 21 New Hampshire colleges and universities in 2016, uSafeUS provides important new safety features and a new student-influenced design, along with new tools to help campuses engage students and provide resources to victims in the event of a sexual assault, at the moment they need them. 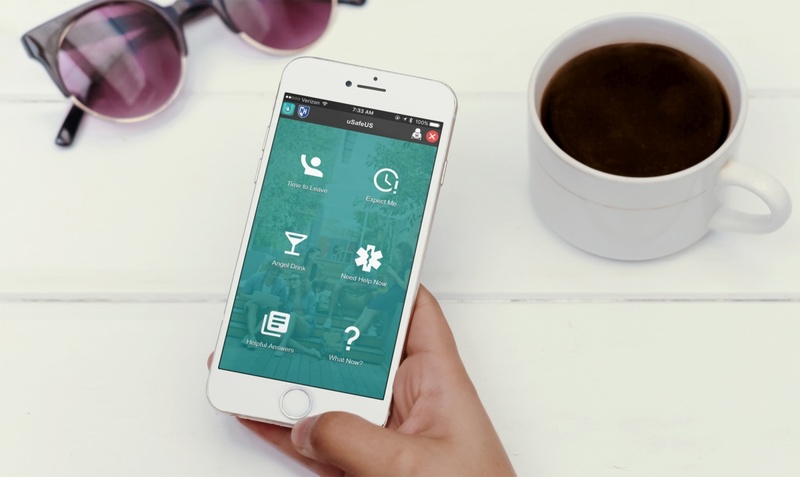 Features include Time to Leave™, which students can use to send themselves a simulated text or phone call which provides an excuse to leave an uncomfortable situation, and Angel Drink, which offers a discreet way for students to notify a bartender or wait staff that help is needed. The Expect Me™ feature, originally included in uSafeNH, enables students walking home alone at night to let a friend know they may need help. Expect Me has been redesigned to include a new visual timer and texting option. For more than a decade, the Prevention Innovations Research Center has conducted collaborative research with community partners, publishing ground-breaking research and launching a range of innovative resources to reduce sexual and relationship violence and stalking. PIRC is a trusted research partner with colleges and universities throughout the US and Europe, and has been recognized through numerous national awards.